Digital pens–or smartpens–make it possible to merge your on-paper life with your mobile life. These high-tech pens bridge the gap between the traditional practice of writing notes on paper and storing information on your computer or mobile device. By connecting to your computer, smartphone, or tablet, digital pens transfer your handwritten notes, drawings, or diagrams and convert them into digital files. This makes it easy for you to continue handwriting notes, jotting down appointments and grocery lists, and drawing diagrams, graphs, and doodles on paper without worrying about losing track of important information. Digital pens permanently save your handwritten notes as digital files that you can access and edit from your computer or mobile device. If you prefer to write by hand but rely on the convenience of storing information digitally on your computer or mobile device, try one of these digital pens to get the best of both worlds. 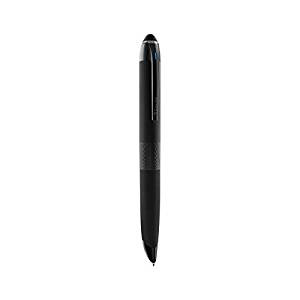 Crafted with a matte-black finish and a ballpoint tip, this digital pen offers a writing experience that feels authentic. It uses Bluetooth connectivity to connect with both iOS and Android systems, so you can use it no matter which type of phone/tablet you have. Once you’ve connected your digital pen to your tablet or smartphone, everything you write with it will be stored inside the pen’s impressive built-in memory and displayed instantly on your mobile device. While you’re writing notes, you can also use your mobile device’s microphone to record audio that automatically syncs with your handwriting. 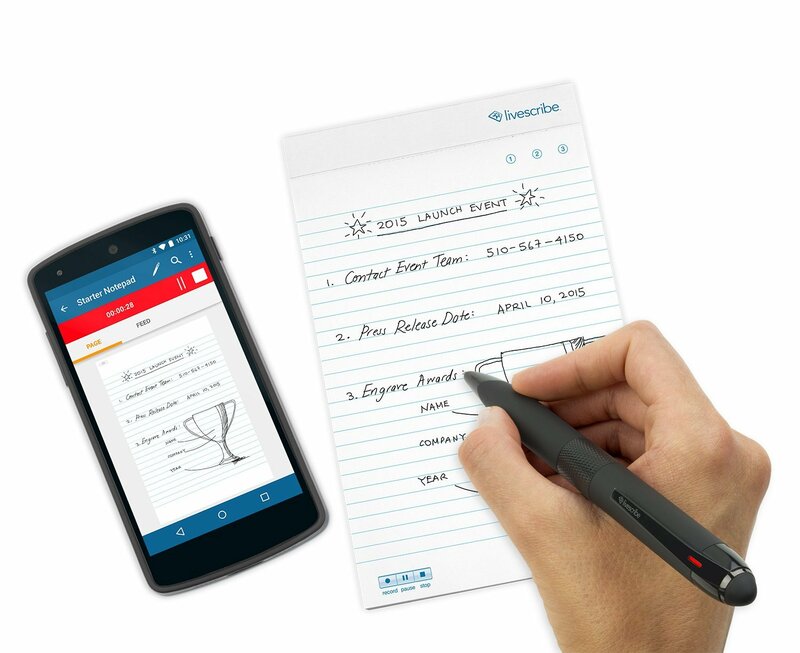 You can download the Livescribe+ app onto your mobile device and link it with your digital pen. This app helps you seamlessly integrate your handwritten notes into the information stored on your mobile devices. It allows you to effortlessly convert your own handwriting into digital text and edit these digital documents on your mobile device. You can even search for and find specific words or phrases within your handwritten notes once they are digitized. Also, if you jot down a phone number o the time of an upcoming appointment with your digital pen, the pen can create appointments and enter contacts for you on your mobile device where they will be stored permanently. 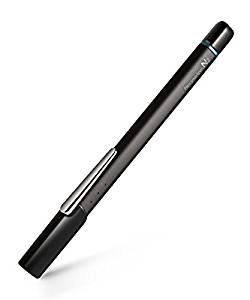 Bluetooth 4.0 Digital Pen for iOS, Android Smartphones and Tablets – The Dual Core processor inside this digital pen allows it to record 120 frames per second in order to instantly capture your handwritten notes, convert them to digital text, and send them to your smartphone or tablet. It connects to your mobile device through a high-speed Bluetooth connection. This digital pen looks just like a regular pen, complete with a cap and authentic grip. It is available in two sleek, professional-looking colors: black and silver. Don’t worry about making mistakes while you’re writing with this pen. 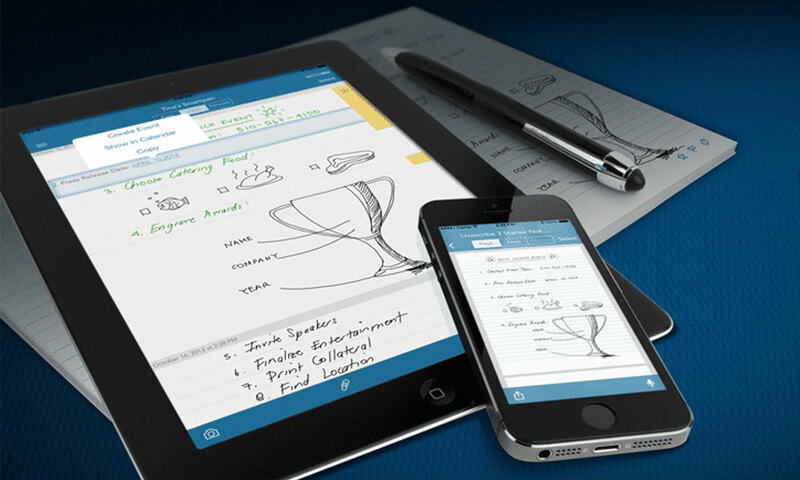 Its Neo smartpen app allows you to edit your handwritten notes to fix errors or improve the organization of your notes. This pen has an average battery life of three days and a constant usage battery life of five hour, so you can take all of your notes with this digital pen just like you would use a regular pen without worrying about it dying. This digital pen allows you to record audio continuously while you write. If you want to clarify something you’ve written or get more context on the moment when you wrote it, just tap your notes. Tapping a specific section of your notes instantly plays the audio you recorded as you were handwriting those notes. Transfer data easily from your digital pen to your computer using its micro USB cable. You can also use this USB cable to charge the pen when its battery runs low. The pen comes with special Echo Desktop software that is compatible with both Mac and Windows operating systems. This software makes it easy to transfer writing and recordings from your pen to your computer and subsequently review/edit them from your computer. This digital pen can hold up to 2 GB of data at a time before it needs to be transferred to your computer. 2 GB of data storage translates into thousands of pages of written notes and up to 200 hours of audio recordings. Ideal for artists and any other user who wants to write more than just handwritten notes, this digital pen allows you to capture hand-drawn diagrams, graphs, doodles, and drawings and transform and store them into digital files. Download the Wacom Inkspace app and link it easily with your Smartpad and digital pen. This app allows you to convert your notes, diagrams, drawings, and doodles into digital files and edit and share them. Flipping pages becomes a thing of the past once you start using this digital pen and its included Smartpad. 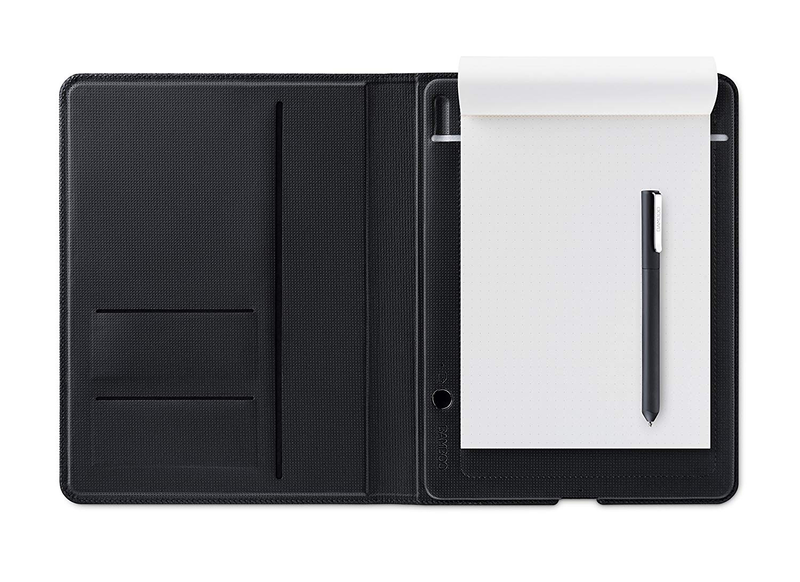 Use the pen to write and draw directly onto the surface of the Smartpad. When you’ve filled up a page, you can save your notes and switch to a clean page with the touch of a single button. The notes you save transfer to your computer or mobile devices through an established Bluetooth connection. You can easily transfer virtually anything you write down with this digital pen to your computer, tablet, smartphone, or other mobile device. This pen is able to capture handwritten notes as well as any diagrams or sketches you draw on paper. It holds an impressive 4 GB of handwritten data. 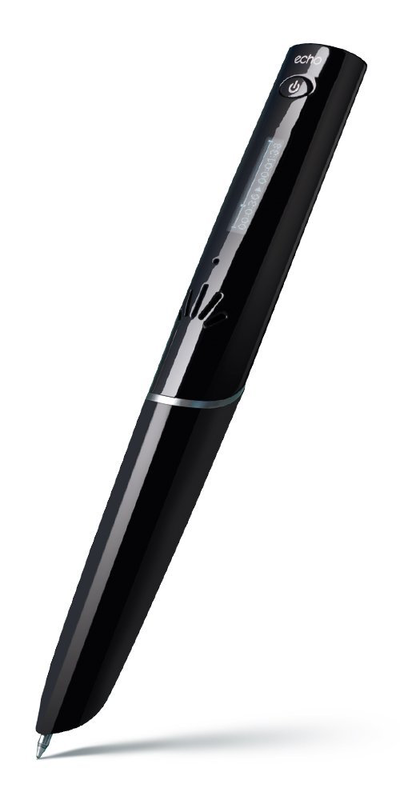 Compatible with Android, iOS, Mac and Windows OS, this pen can transfer data to virtually any computer or mobile device. Once you transfer your notes to your computer or mobile device, you can easily edit and share them. Writing with this digital pen looks and feels indistinguishable from writing with a standard pen. Unlike many other digital pens, it does not require the use of a special notebook or special type of ink. 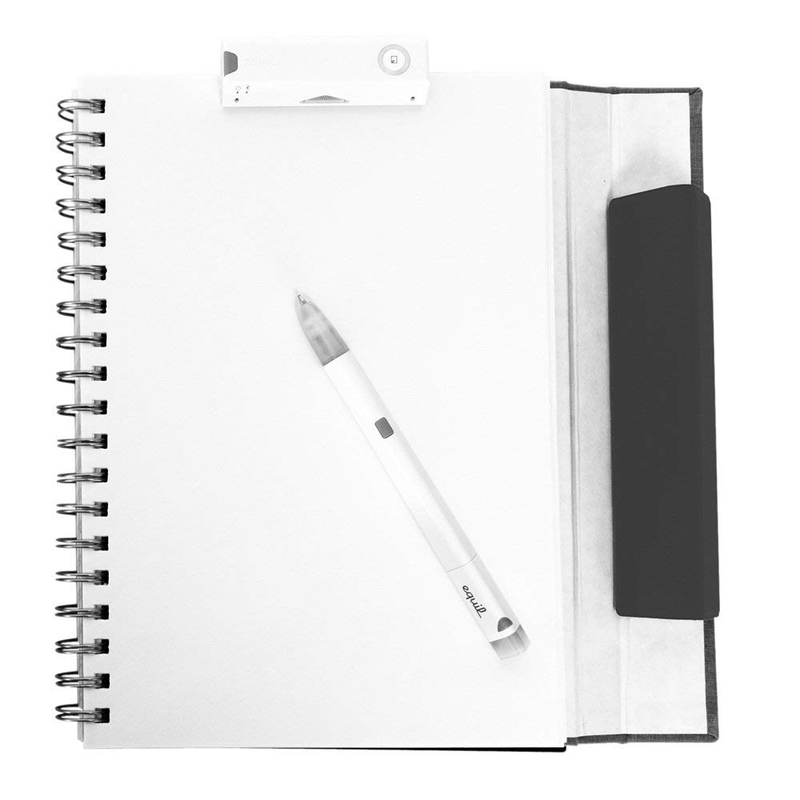 You can write with it in any standard notebook and fill it with standard ink of any color.